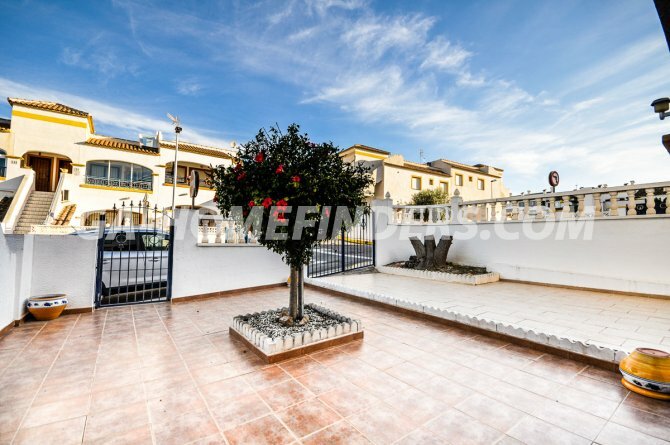 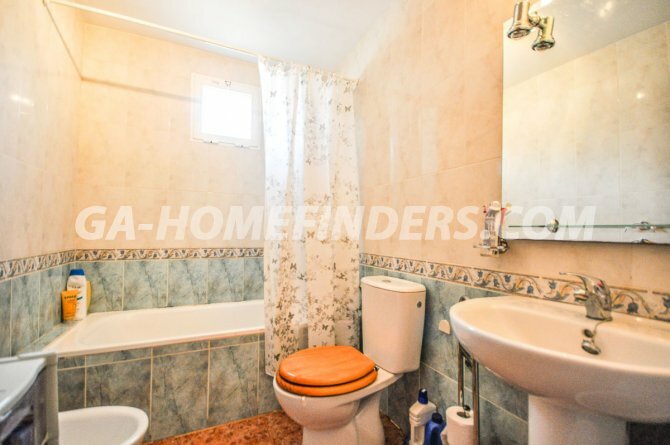 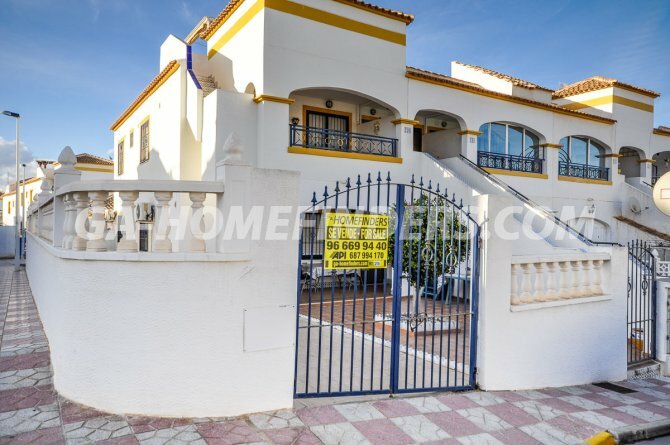 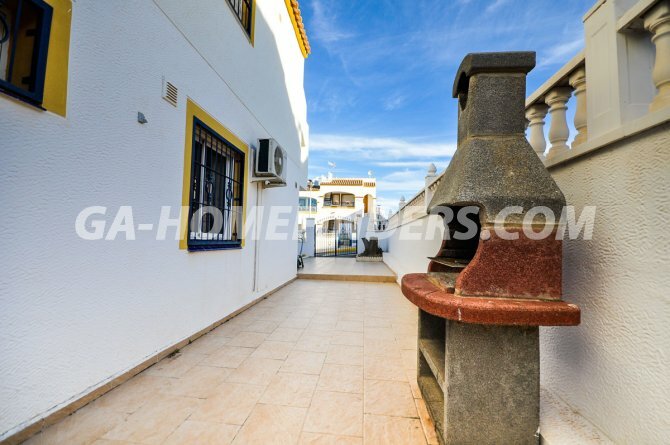 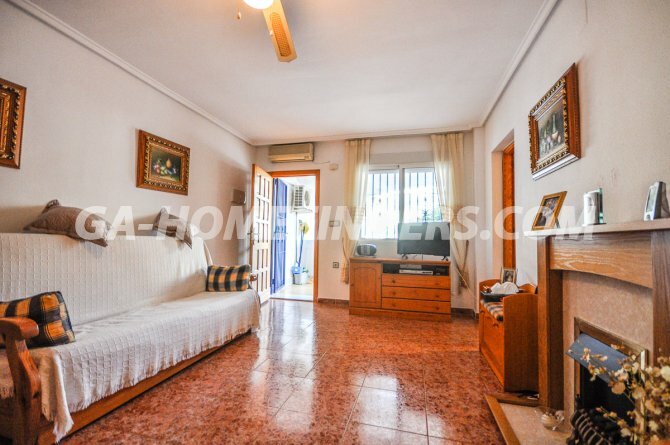 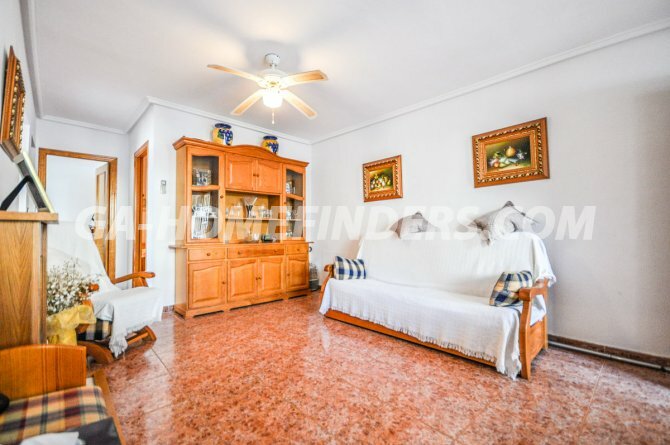 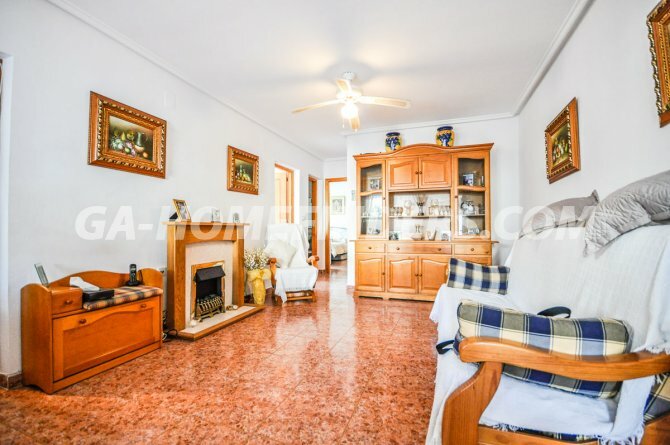 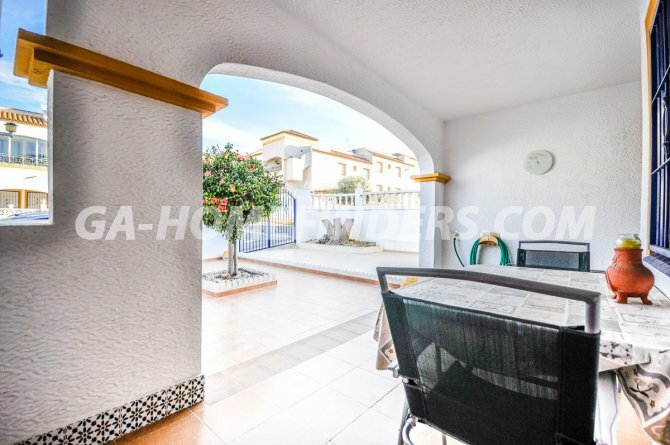 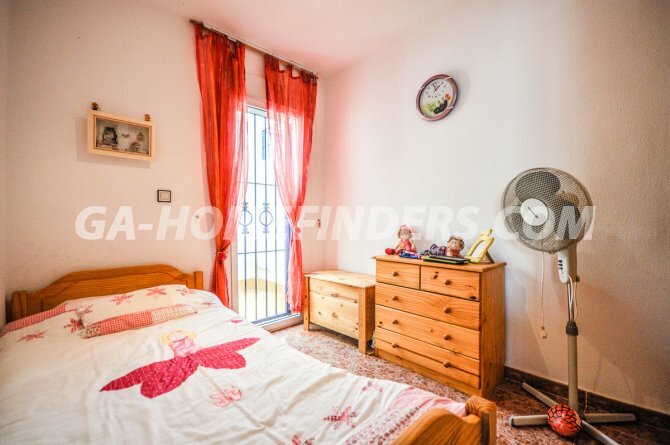 Ground floor apartment on the corner, at the entrance of the house there is a spacious porch and a large terrace where there is enough space for a private parking, all windows have shutters and grills, has 3 bedrooms and 1 bathroom. 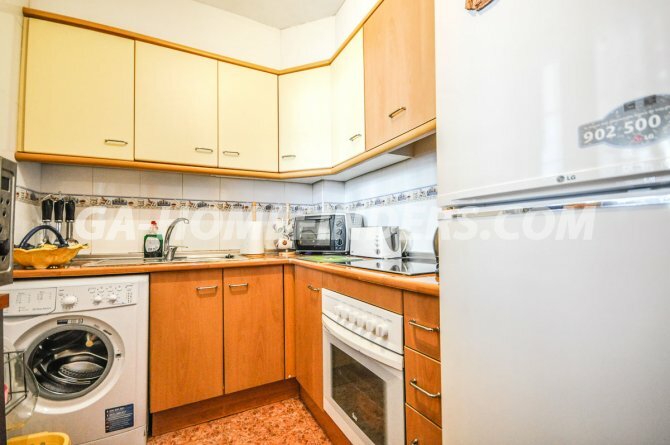 Independent kitchen with white appliances and furnished, has air conditioning in each area of the house (hot and cold). 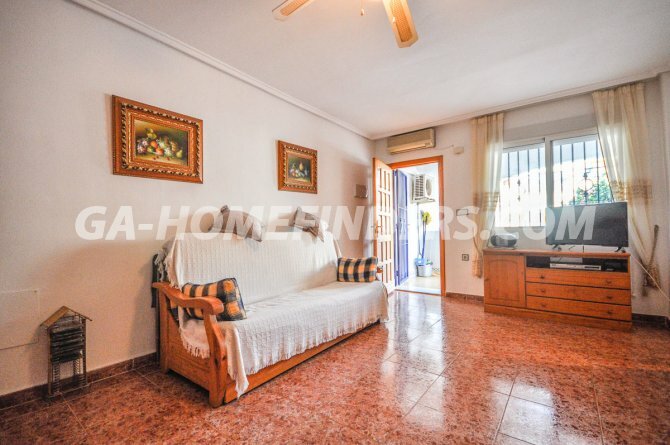 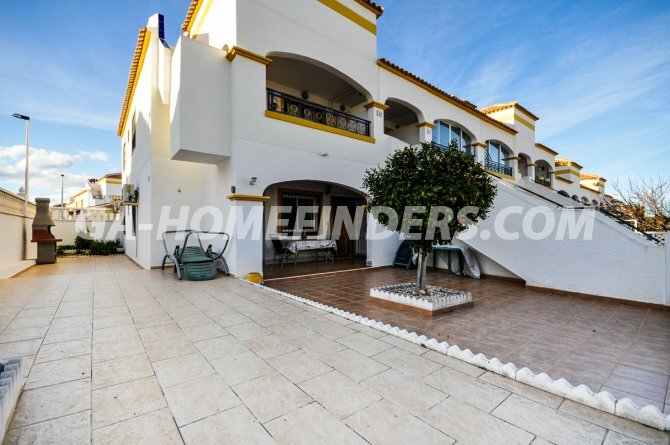 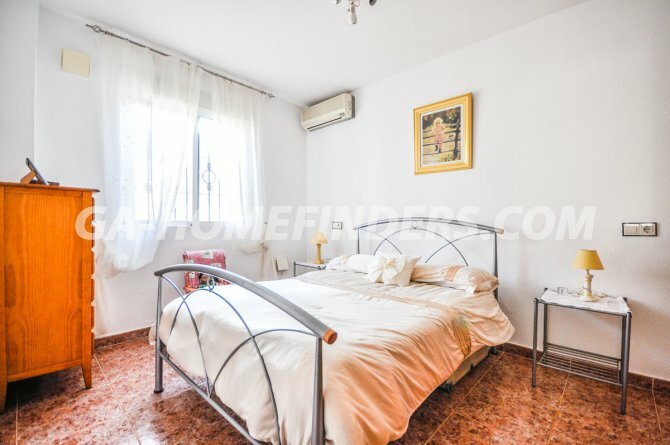 It is located in the upper part of Gran Alacant in a gated community, it has 3 communal pools with large green areas. 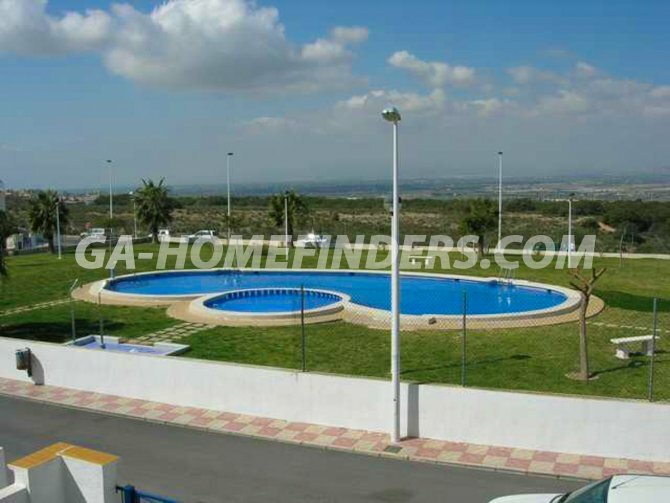 It is located near the area of services; bars, restaurants, shops, sports centre, health centre and public transport. 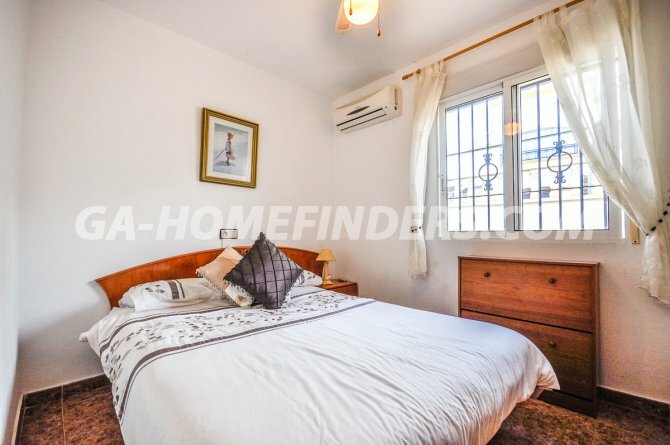 Only 5 mins from the beach by car or on the bus.